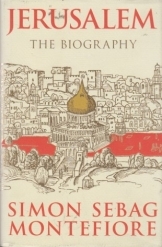 Jerusalem The Biography by Simon Sebag Montifiore, 638 pages, new book, excellent condition. A unique chronical of jerusalem, illuminating it's history, mysticism and identity. It draws on new archieval material, current scholarship and the author's own family history.